Your Next Home in Tampa Bay Starts Here! Linda Holloway provides Home-Buyer, Home-Seller, Residential Investment, and/or Relocation Services in the Tampa Bay area. Your Next Home in Tampa Bay Starts Here! The Place for Tampa Bay Real Estate. 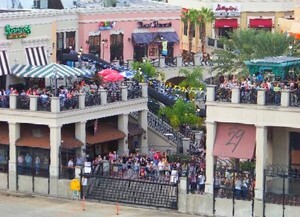 Roadblocks Continue for Channelside Bay Plaza. 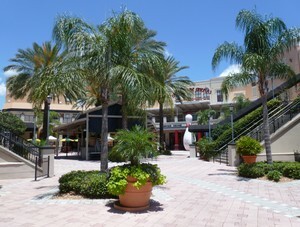 After rejecting a potential deal for Liberty Channelside LLC to purchase Channelside Bay Plaza in May 2013, the Tampa Port Authority decided to purchase the entertainment and retail complex. On February 18, 2014, a federal bankruptcy judge rejected the Tampa Port Authority's $5.75 million deal. Irish Bank Resolution Corp. currently owns the mortgage on the building after foreclosing on the entertainment and retail complex in 2010. The land the complex sits on is owned by the Tampa Port Authority. Currently, both the Irish Bank Resolution Corp and the Tampa Port Authority have to agree upon and approve a potential buyer for Channelside Bay Plaza. If the Tampa Port Authority purchases the complex, both the land and the building would then be controlled by the public agency. With the Irish Bank Resolution Corp. seeking bankruptcy protection for its American assets, the federal court is overseeing Channelside Bay Plaza. The federal judge decided that the Port's $5.75 million was not enough money to purchase the complex. A competing offer of $7 million has been presented by Liberty Channelside LLC who also sued to end the Tampa Port Authority's deal. The Tampa Port Authority is willing to pay more money for Channelside Bay Plaza and is working on a more legally sound offer to purchase the complex. The Irish Bank Resolution Corp. is improving the process to accept new bids on the plaza. 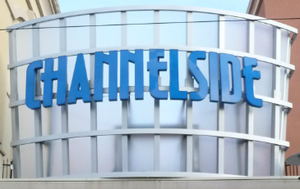 Liberty Channelside LLC has asked the federal judge to consider putting the complex up for auction and to remove the Port's ability to block the sale of Channelside or purchase the mortgage. In turn, the Tampa Port Authority has filed a motion for the judge to dismiss Liberty Channelside LLC's lawsuit blocking the plaza's sale. The federal judge is set to hear arguments on April 1, 2014 as the roadblocks continue for the once busy and bustling Channelside Bay Plaza. A VA Home Loan is a home loan made to eligible Veterans for the purchase of a home that will be used as a primary residence. The VA home loan is secured by the U.S. Department of Veterans Affairs and has favorable loan terms and competitive interest rates. This type of loan is available to Veterans, Active Duty Servicemembers, Select Reserve members, and some spouses. A VA home loan can be used to purchase a home, construct a new home, refinance a home, or install energy-related features in a home. The first step of applying for a VA Home Loan is to obtain a Certificate of Eligibility (COE). A Veteran eligible for a VA loan still must meet other loan requirements such as income and a good credit score. A Veteran is eligible for a VA Home loan if he or she served on Active Duty and was not dishonorably discharged. Wartime service periods include service during World War II, the Korean Conflct, the Vietnam Era, and the Persian Gulf War. Veterans with Peacetime service, Active Duty Service Personnel, Members of the Selected Reserve, and certain other types of service or spouses are eligible. The Department of Veterans Affairs determines eligibility and issues Certificates of Eligibility to qualified Veterans and Servicemembers. If a veteran has used all or part of the entitlement, entitlement may be "restored" when purchasing another home. Entitlement is not automatically restored and certain conditions must be met. It is possible for a veteran to have up to two VA home loans at one time. If you think you are eligible for a VA home loan, it is important to work with a REALTOR® that understands the benefits of VA loans. In addition to a VA loan saving you money, a REALTOR® knowledgeable about VA loans can also save you money on closing costs. While the VA secures the loan, the VA does not make any guarantees about the condition of the home or the decision you are making. It is important to work with a REALTOR® who will work with you through the process of purchasing a home with a VA loan. If you choose to work with Linda Holloway as your REALTOR®, I will have your back through the entire home buying process meaning that I will provide the information for you to make the best decisions possible for you and your family. If needed I will introduce you to business partners - loan officers, home inspectors, etc., that will also be knowledgeable about VA home loans and the process of buying a home. Farewell to the St. Petersburg Pier! The shops, businesses, and restaurants, including The Pier itself, closed on May 31, 2013. For the last few months, goodbye parties and celebrations have been in full swing including the final fireworks and Ultimate Memorial Day Celebration at the St. Petersburg Pier. This version of The Pier provided forty years of fun and entertainment including art shows, concerts, and ski shows. Several of the businesses have second locations that will remain open. Some of the businesses are moving and others are closing their doors. The Aquarium will be relocating to St. John's Pass in Madeira Beach. It is a bittersweet time in St. Petersburg as The Pier closes. The Pier, in one form or another, has been a part of St. Petersburg's waterfront since 1889. This Pier, in the shape of an inverted pyramid, opened in January, 1973. In 2004, it was determined by the City's Engineering Department that the pilings underneath the "approach" to the pier and pilings underneath the first floor of the pier would need to be replaced by the year 2014. Due to the cost involved, renovation of the inverted pyramid was eliminated as an option for The Pier. The plans and design for the new pier, "The Lens", are controversial and still being discussed. Currently demolition is planned for late 2013 with the new Pier opening in 2015. Residents and visitors alike have fond memories of the St. Petersburg Pier. Whatever your memories may be: strolling, fishing, dining, or just spending time with friends, I hope they continue to bring a smile to your face as the city of St. Petersburg decides what is next for The Pier. Thank you for the fun, thank you for the memories, thank you to all the people and businesses who were a part of the St. Petersburg Pier! What's Next for Channelside Bay Plaza? In an unexpected turn of events at the May 21st meeting, the governing board of the Tampa Port Authority rejected a potential deal for Liberty Channelside LLC to purchase Channelside Bay Plaza. Since Channelside Bay Plaza sits on land owned by the Tampa Port Authority, the governing board has the right to approve, or veto, potential buyers for the plaza. "Most People Don't Want to Talk to a REALTOR®"
Recently, I was in a room full of REALTORS® when one of them said, "Most people don't want to talk to a REALTOR®." While this is often true, I thought to myself that it is also sad. I would rather work to change this perception than spend time thinking about how the idea came to be. Buying a home is often the largest financial transaction a person makes. 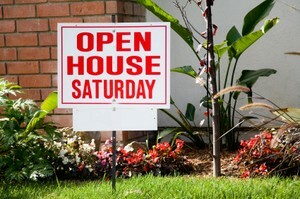 Selling a home without the help of a REALTOR® usually becomes time-consuming and frustrating. Due to the complexity and importance of buying or selling a home, Linda Holloway would encourage you to talk to and hire a REALTOR®. I grew up hearing about real estate. I have even laughed and said that real estate is in my blood. I took my real estate courses and obtained my license in 2004. Later, I decided to join the real estate industry and the NATIONAL ASSOCIATION OF REALTORS®. I think I was in the business for all of five minutes when I gathered the impression that REALTORS® and real estate agents are not liked very much. Again, I thought this was sad and I wondered why. I decided to do my part to change this perception. Borrowing the words of Paul Shane Spear, "As one person I cannot change the world, but I can change the world of one person." It may start with the world of one buyer, or one seller, or one person who wants to stop renting and buy their own home. I will work hard to earn your trust, give you accurate information, and guide you through the process of buying or selling a home. I want to be a REALTOR® that people want to talk to and be able to whole-heartedly ignore the words, "Most people don't want to talk to a REALTOR®". Since the St. Petersburg Pier will be closing on May 31, 2013, I didn't want to miss the opportunity to get out and about in Tampa Bay at the St. Petersburg Pier. The Pier that stands today opened in January, 1973. 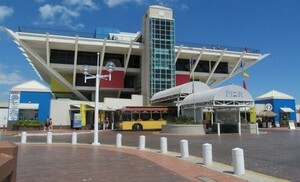 In the shape of an inverted pyramid, twelve unique shops, four waterfront restaurants, and the Pier Aquarium are among the businesses that are still operating at the Pier. People enjoy fishing and exercising amid the beautiful views of Tampa Bay. As Channelside Bay Plaza struggles, revitalization may be coming and it may be coming soon! On Wednesday, May 8, 2013 at 5:30 p.m. at the Florida Aquarium, there will be a public forum on the future plans of Channelside. Liberty Channelside LLC is holding this public forum on its plans for Channelside. 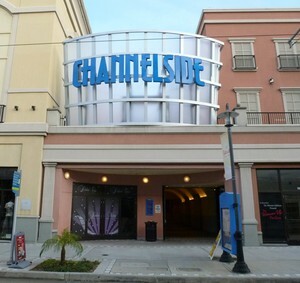 Liberty Channelside LLC has signed an agreement to purchase the lease for Channelside Bay Plaza. In 2010, Irish Bank Resolution Corp. foreclosed on the property when the previous owner defaulted on the loan. Can I buy a home without a REALTOR® or real estate agent? Many people often wonder if they can buy a home without a REALTOR® or real estate agent. While the answer is yes, my question to you would be why would you want to? The usual response to that question is to save money. Many buyers do not know or understand that the buyer's agent fee is typically paid by the seller. Customarily, there is a transaction fee charged to the buyer by the real estate company but a good buyer's agent will take this fee into consideration when negotiating the price and terms of the offer you place on a home. Purchasing a home is often one of the largest financial transactions someone will make during their lifetime. When you consider all of the factors involved in the process of purchasing a home, hiring a REALTOR® to oversee the details and minimize your risk is well worth the nominal cost. Linda Holloway understands that the process of buying a home can be personal and emotional as well as financial. 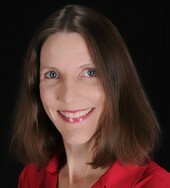 Linda will provide the information you need to make the best decision possible when buying a home. Please contact Linda before deciding to buy a home without a REALTOR® or real estate agent. With so many real estate agents and REALTORS® to choose from, what should I look for in a REALTOR®? First and foremost, Linda would recommend being sure that the agent you choose is a REALTOR®, meaning a member of the NATIONAL ASSOCIATION OF REALTORS®. Members of this association are held to a higher standard than real estate agents or licensees. Buyer's Agent or Seller's Agent? Does what I look for in a REALTOR® change if I am buying or selling? Linda Holloway believes that whether you are buying or selling, a REALTOR® should listen to you and understand your goals. As a buyer's agent, Linda provides powerful online search tools and listens to understand what is important to you, your family, and your lifestyle in your search for a new home. As a seller's agent, Linda utilizes up to date technology as well as tried and true techniques to market and sell your home. Whether Linda is representing you as the buyer or seller, she will negotiate the best price and terms possible to help you accomplish your goals. For more information on what you should look for in a REALTOR®, contact Linda today! Are you aware there is a difference between a real estate agent and a REALTOR®? In Florida, a real estate license is required to perform any service of real estate for another person in anticipation of compensation. Many people obtain a real estate license and work as a real estate agent or licensee. As a licensed REALTOR®, Linda Holloway is a member in good standing of the Greater Tampa Association of REALTORS® (GTAR), Florida Association of REALTORS® (FAR), and the National Association of REALTORS® (NAR). Linda further believes REALTORS® have an obligation to be well-educated to provide the level of service and protection her clients deserve. I would appreciate the opportunity to earn your business and show you the difference between a real estate agent and a REALTOR®!